On Monday, March 3, the first day global markets were open after Russia’s Federation Council authorized President Vladimir Putin to use force in Ukraine, the 300 richest people in the world lost $44.4 billion. Russian and Ukrainian billionaires alone lost $12.8 billion and the Russian stock market fell by more than 12 percent. Among Russian billionaires, Gennady Timchenko and Leonid Michelson suffered the worst losses. They are shareholders of Novatek, the second-largest natural gas producer in Russia after Gazprom. The company’s shares fell 18 percent, and together Timchenko and Michelson lost $2.5 billion. 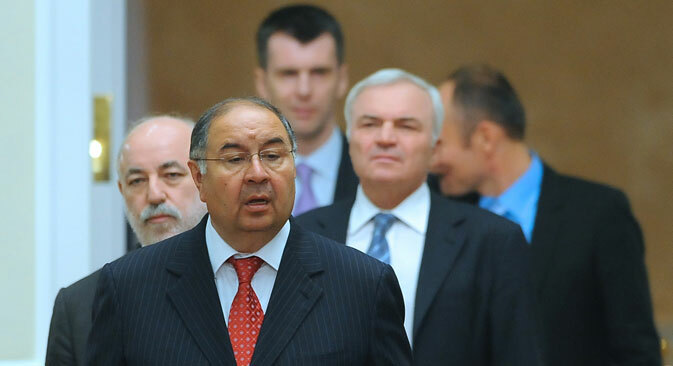 Vladimir Lisin, owner of steel producer NLMK, lost $1.2 billion of his estimated $14-$16 billion fortune and the president of Lukoil, Vagit Alekperov, lost $960 million. Alekperov owns a 21 percent stake in the oil company and his fortune is estimated at $4.8 billion. Rinat Akhmetov, the richest man in Ukraine, suffered losses of $700 million. Akhmetov’s fortune is estimated at $22.3 billion. He owns 100 percent of System Capital Management, which, in turn, owns the controlling stock in over 100 companies. Russian businessman Alisher Usmanov, whose fortune is estimated at $18.6 billion, suffered the least of the big oligarchs on Black Monday – he lost only $654 million. By the end of the next trading session on March 4, however, quotes regained about half of their losses. Moscow’s benchmark MICEX index rose by 5.3 percent and the RTS rose by 6 percent.